Hurray! I'm so pleased that I've already managed to fulfil one of my new year's resolutions - to craft more! 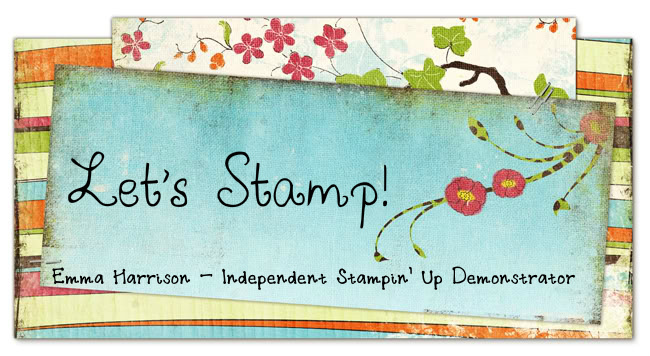 I've just signed up to become an independent Stampin' Up! demonstrator in Herts & Beds, and I'm really excited about it - after all, what could be better than working by making cards and scrapbook pages! And to top it all of, SU! have a great offer on this month. 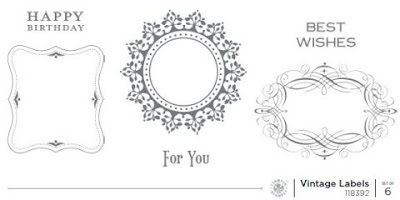 Everyone likes a freebie and this month, Stampin' Up! are offering you the choice of three exclusive stamp sets when you spend £45 or more, before the 28 February. These yummy stamps are only available whilst the SAB offer is on, and are not in the main catalogue. 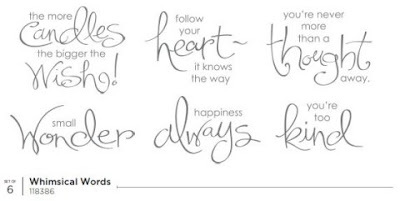 I can't wait to get my hands on one of these lovely stamp sets - deciding which one is going to be the hard part!